Why do we shrink and shy away when it comes to negotiating? How can we manage our emotions in these conversations? 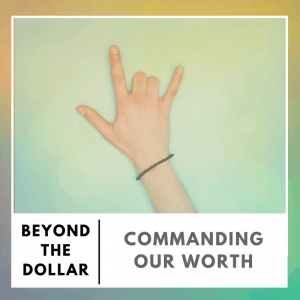 In this episode, I (alongside former co-host Garrett Philbin) talk about what commanding your worth means in practice, and how your feeling of self-worth impacts your ability to ask for more. We dive into the idea of rejection, and how someone saying “no’ to your offer doesn’t reflect who you are as a person. 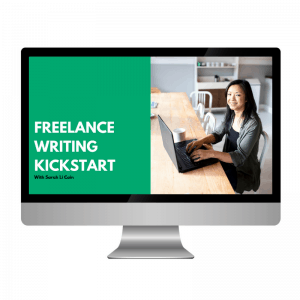 We also share examples of how we’ve commanded our worth, and offer practical tips on how to feel more confident in asserting yours. Sure – it’s great to be your own boss, but what do you do when you face the fear when actually quitting your job? What kind of mindset shifts do you need to make in order to not just survive, but thrive? 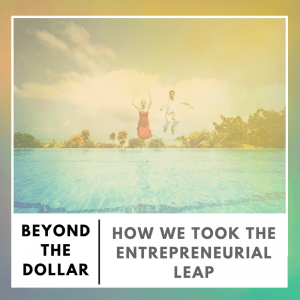 In this episode, I (alongside former co-host Garrett Philbin) talk about how we took our respective leaps into entrepreneurship. We bear all – the good, the bad and the ugly – about what it’s been like starting and growing our businesses. Both of us get super specific about why we actually took the leap and our thought processes along the way. We also talk about how entrepreneurship, just like money, is simply a tool that can help us live the lives we want, and we share simple questions you can ask to feel more comfortable when making tough decisions in your financial lives and beyond. Worrying about money is stressful enough. But what if you weren’t using money in alignment with who you truly were because you didn’t feel comfortable being your authentic self?? 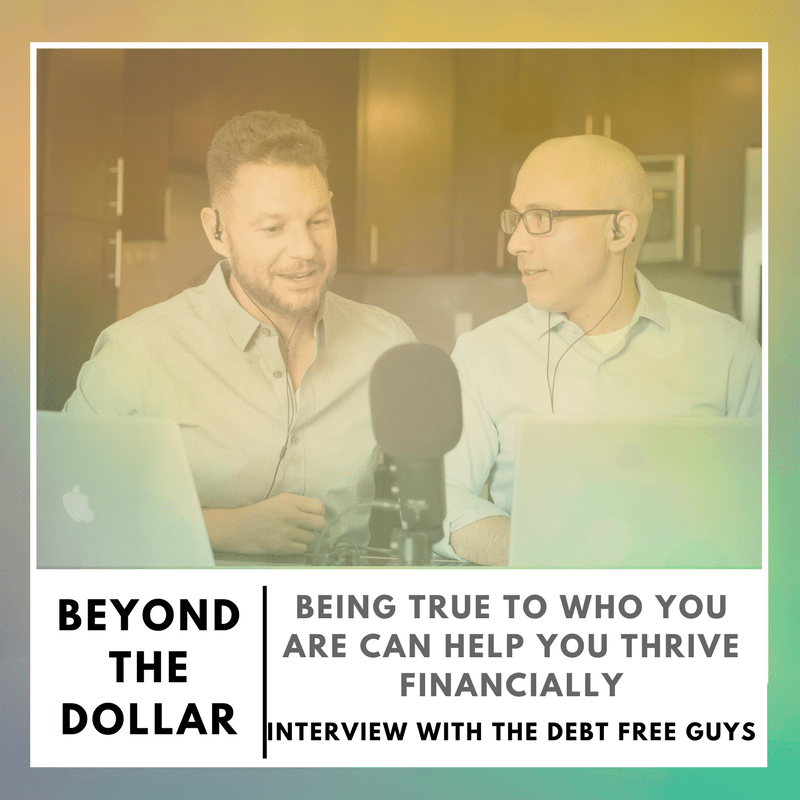 In this episode, I (alongside former co-host Garrett Philbin) sit down with The Debt Free Guys, John Schneider and David Auten. They are personal finance authors, bloggers, podcasters, and speakers, and are the only gay couple openly talking about money in the queer community. 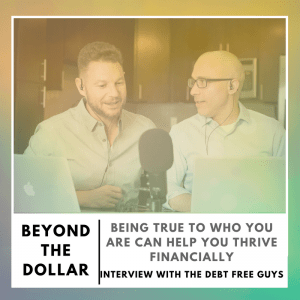 We talk about the financial expectations and challenges facing the LGBT community, how they made the decision to dig themselves out of $51,000 in credit card debt, and how being their authentic selves helped them thrive in their financial lives. Do you find yourself feeling bad or jealous when you see other’s “success”? What happens when we start comparing ourselves to others? 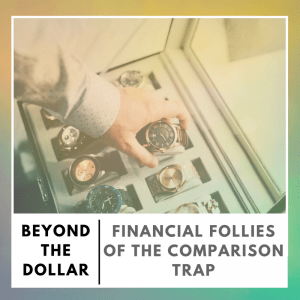 In this episode, I (alongside former co-host Garrett Philbin) talk about how comparing ourselves to others takes a toll on both our financial and emotional well-being. We talk about how “keeping up with the Joneses” has evolved and been exacerbated by social media, how to catch ourselves when we fall into the comparison trap, and how getting clear on our priorities and values allows us to break that cycle. Sarah and Garrett also go over some simple exercises and questions to ask yourself when you find yourself falling into the comparison trap. They also chat about how they’ve fallen into this themselves, and what they’ve done to get out of it. Taking leaps of faith – Exciting? Hella scary? Worth it? All three? In this episode I (alongside former co-host Garrett Philbin) down with Jared Easley, who has had to take many leaps to grow Podcast Movement, the world’s largest podcast only conference with his business partner, Dan Franks. We talk about how to take leaps of faith, both financially and in our careers, and how you can approach these life changes when there is someone else in your life to consider. 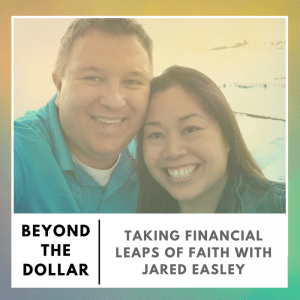 Jared was gracious enough to share his highs and lows, including what it takes to pursue a goal that may not reap financial rewards right away. We also talk about using the power of curiosity to ask yourself the right questions, especially when you feel like giving up. Even if you’re not an entrepreneur there are a lot of great takeaways from this episode, such as what people in full-time jobs can do to find more satisfaction, such as saving up money for a sabbatical and even asking for a raise. How can creating boundaries in our relationships help us thrive in our financial lives? 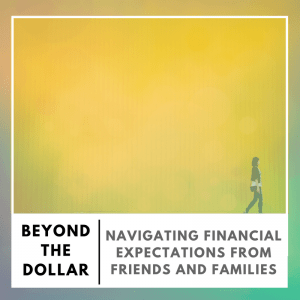 In this episode, I (alongside former co-host Garrett Philbin) talk about how to manage financial expectations and set boundaries with our friends and family. How does our confidence (or lack thereof) affect our ability to set boundaries? How can we move on from a friendship that is no longer serving us, financially or otherwise? And what are the positive outcomes we’ve experienced from creating our own financial boundaries? Sarah and Garrett dive deep into how to find the confidence to set financial boundaries and be honest about your needs. They also talk about how setting boundaries is actually about acting from a place of love, and when it’s necessary to let people go from your life. How do our beliefs about money affect how we handle and relate to it as adults? In this episode, I (alongside former co-host Garrett Philbin) explore how our experiences with money growing up influence how we manage it as adults. 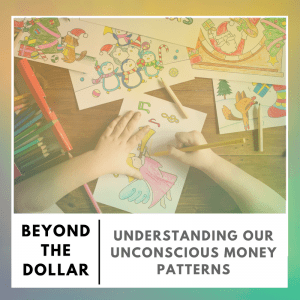 We talk about what money scripts are, why they are so important, and how to become more aware of our unconscious patterns so we can be more intentional and in control of our money. Sarah and Garrett dive into what they experienced growing up, and how those things had both a positive and negative impact on their personal finances. 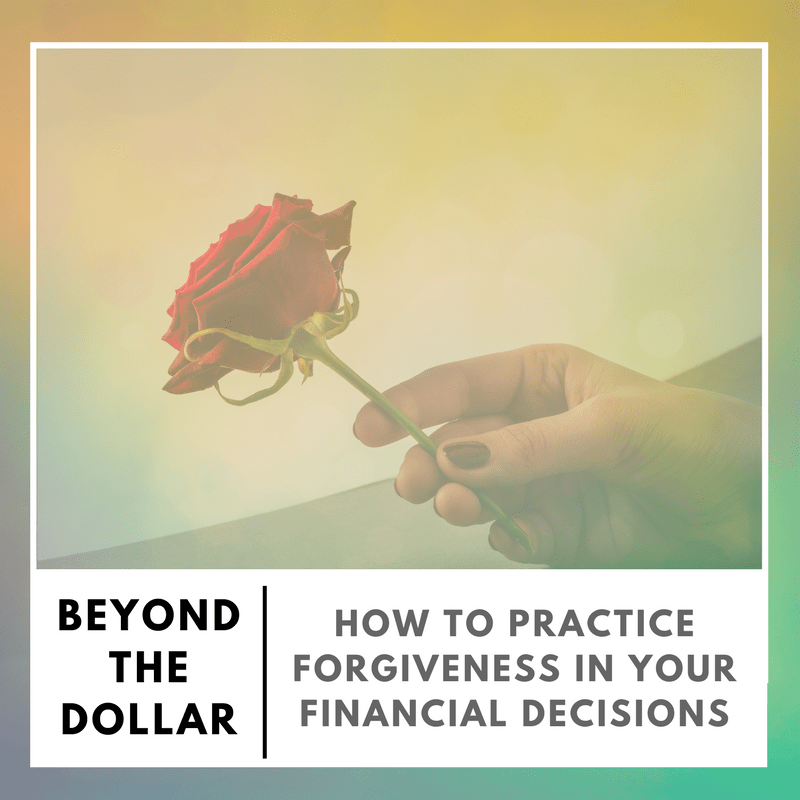 They also explore how willpower isn’t the answer to your money woes, how to create lasting changes, and where to start looking to uncover your unconscious money beliefs. 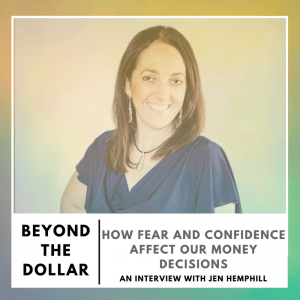 In this episode I (alongside former co-host Garrett Philbin) sit down with Jen Hemphill, a Money Confidence Coach, an AFC® (Accredited Financial Counselor), and host of the Her Money Matters® Podcast. 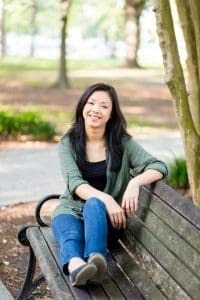 Her first book Her Money Matters: The Missing Truths From Traditional Money Advice helps to fill the missing gaps for when you are financially stuck. Jen has a unique perspective on how our money stories translate into fear around our money and how that affects our day-to-day decisions. We dive into how we can begin to shift our fears into being more confident in our financials lives. We also share how to incorporate self-care practices to relieve stress and fear (it doesn’t cost a lot, trust us! ), ways to find the community to help you grow, and so much more. What is a meaningful life and how can money become a tool to create it? What happens when we’re so focused on making money we forget to smell the roses and appreciate life? In this episode, I (alongside former co-host Garrett Philbin) sit down with Leisa Peterson, founder of WealthClinic and the host of the Art of Abundance podcast. 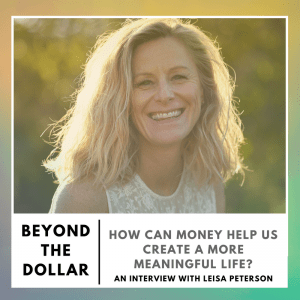 We wanted to have Leisa on because she has a unique way of combining mindfulness practices into her work with money. We dive into how to define what a meaningful life looks like, how you know if you’re using money to achieve it, and the work we need to do in order to do so.